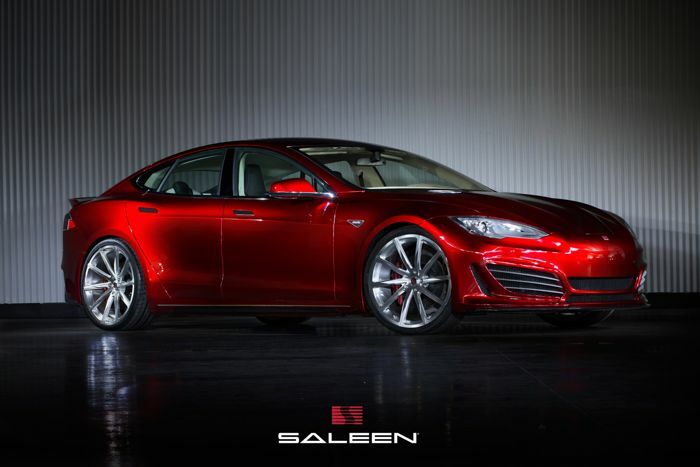 Saleen has announced their latest tuned car, the Saleen FOURSIXTEEN which is based on the Tesla Model S, this new all electric vehicle was unveiled at the 2014 Pebble Beach Concours d’Elegance. 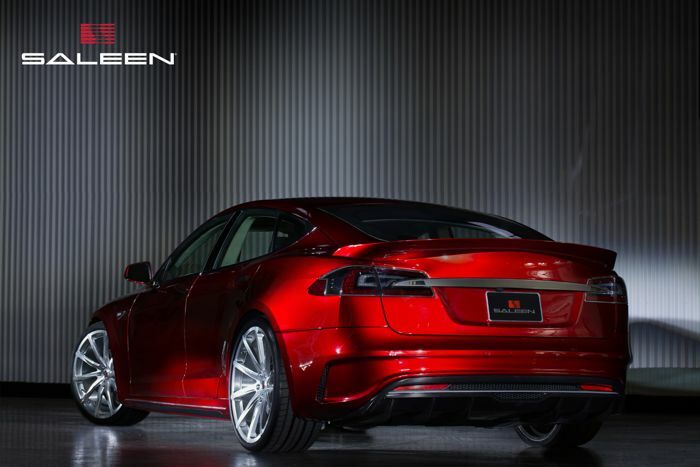 The company has not revealed any performance figures yet, although we can expect it to be faster and more powerful than the current Tesla Model S.
Just like the rest of the Saleen lineup, this car is more than just an eye catching aerodynamic package. Propelling the new FOURSIXTEEN is the 3-phase, four pole AC induction motor and copper rotor with the upgraded Saleen drivetrain including an all-new 11.39:1 final gear ratio for quicker acceleration. Also new for the FOURSIXTEEN is a Saleen specific MAXGRIPTM locking differential that allows each wheel to efficiently apply rotational force and maximize traction and grip in performance environments. All of the Saleen engineered driveline components increase efficiencies in torque management, give a track capable throttle response, and provide faster acceleration. Overall the FOURSIXTEEN is a well-balanced vehicle and sounds great too! 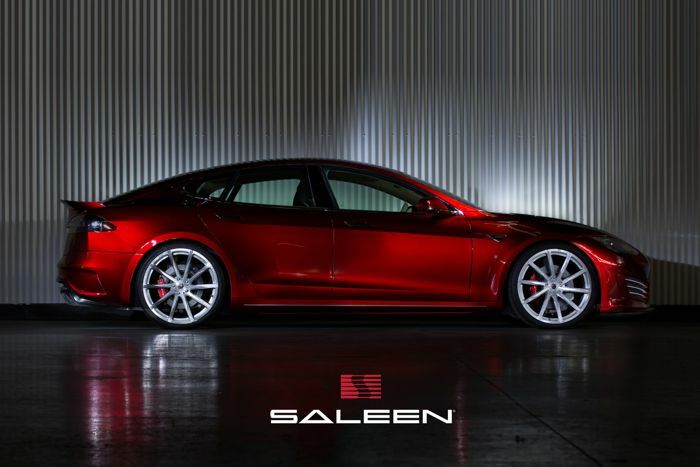 The Saleen FOURSIXTEEN will retail for $152,000 which is considerably more than the current Model S, although it will still qualify for state and Federal EV rebates of up to $15,000. The company has said that they are now taking orders on the Saleen FOURSIXTEEN, and the first models will be released in around 6-8 weeks from the first orders.